DISCLAIMER: I will not be held responsible for any damage sustained to any pickups by following the below. This is a very delicate procedure and should only be attempted by those confident in the skills required. 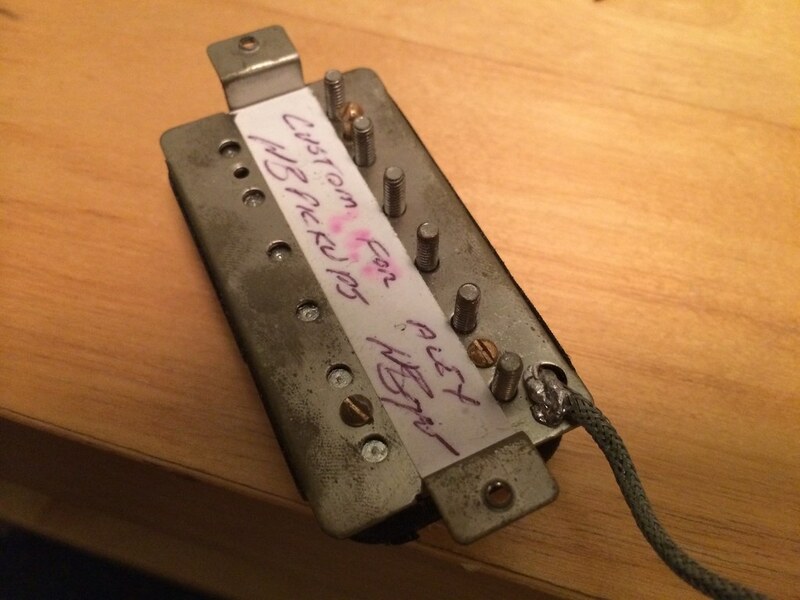 This is a mod i've performed multiple times over the years and i've spoken to a lot of people totally unaware that this is possible and end up spending money on new pickups just to be able to coil-tap or phase reverse. So, in the spirit of giving back to the forum I photographed the pickup I did today and put it into a guide below. I hope you find it interesting, please feel free to ask any questions and i'll try my best to answer. Start by removing the four screws in the baseplate that secure the bobbins. 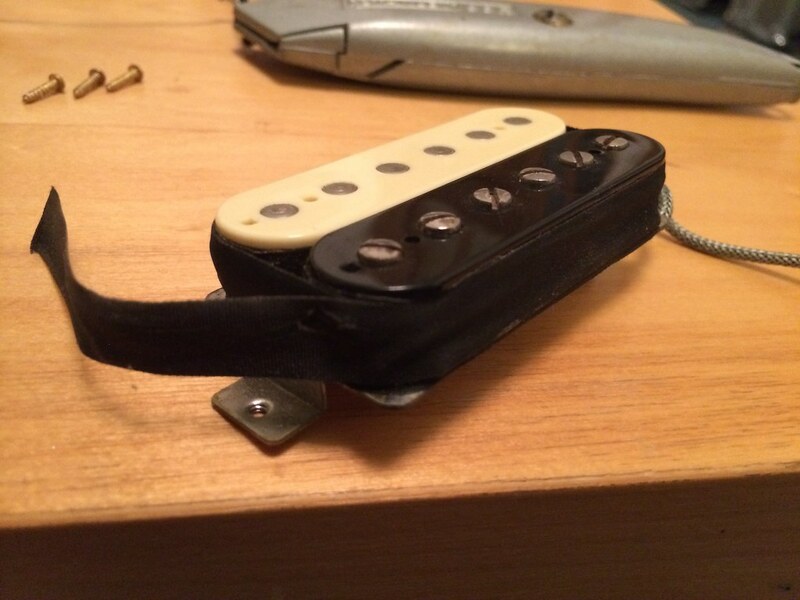 Now remove the outer black tape around the pickup making sure that the thinner bobbin tape is not removed as well. Now you should be able to carefully remove the baseplate. Right now there is nothing but magnets holding the pickup together so care is needed. 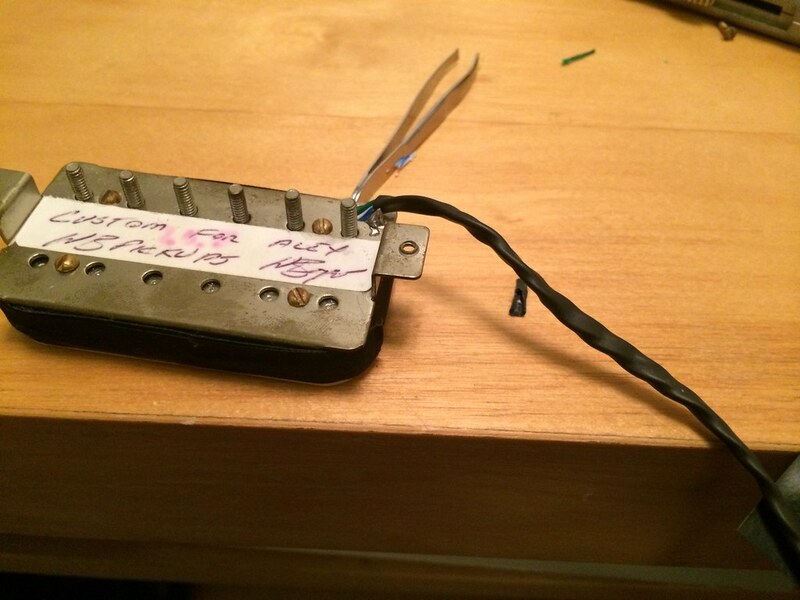 Now assess what you've got to work with - the pickup used in the demo has the shield of the 2 conductor lead soldered to the baseplate to ground - as is the ground wire from the black bobbin. 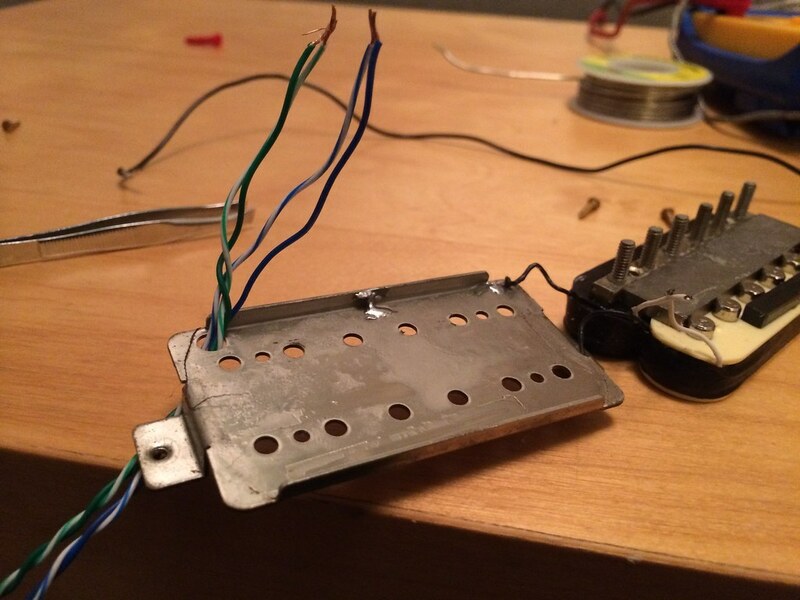 Once the shield is released, unsolder the connection between the 'hot' lead and the hot lead on the pickup. We can see now that there are two white wires soldered together - this is the link between the two coils that will need to be split. Now is the time to start taking notes. 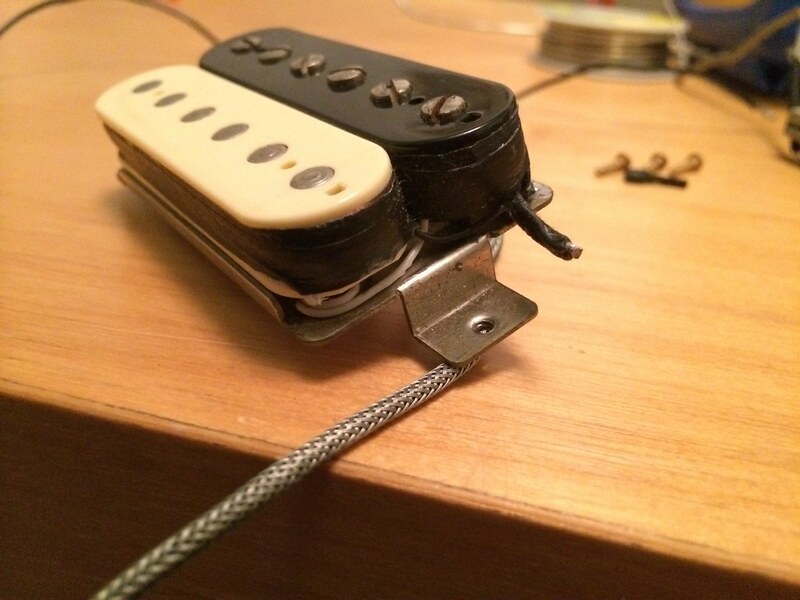 In my pickup the black coil's black wire is ground and the black wire on the white coil is hot. 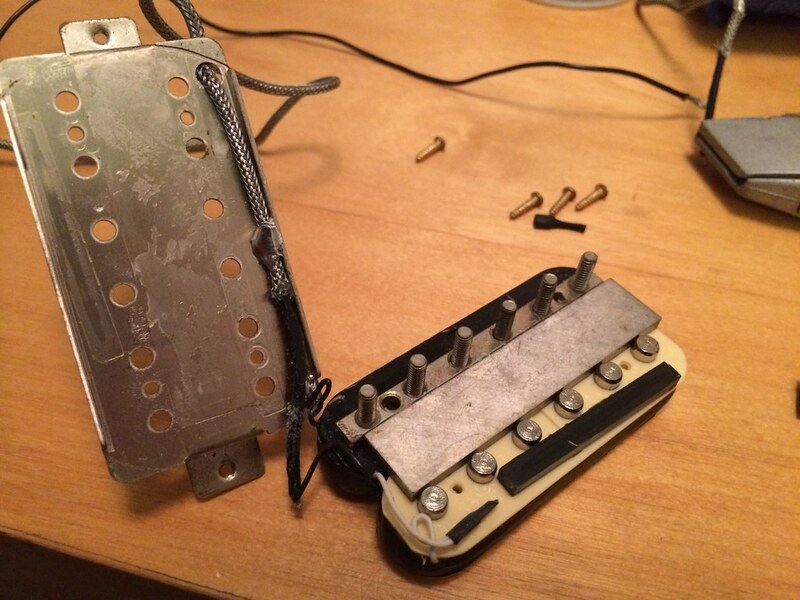 Carefully unsolder the linked wires - in some pickups this will be a single unbroken wire that will need to be cut. Same procedure, just more care required. Now feed your new wires through the baseplate - I like to use the internal wires of Cat5e cable (Ethernet cable) because they are small enough to fit four of them between the bobbin and the baseplate and the colours of the twisted pairs are very useful for denoting which wire is which. Solder these wires to their relevant colours (or, in my case - solder the ground wire to the baseplate.) and check their conductivity with the multimeter. You should be able to see that one coil is 1/2 the resistance of the whole pickup when the coil link wires are twisted together and the multimeter is on the hot and ground wires. 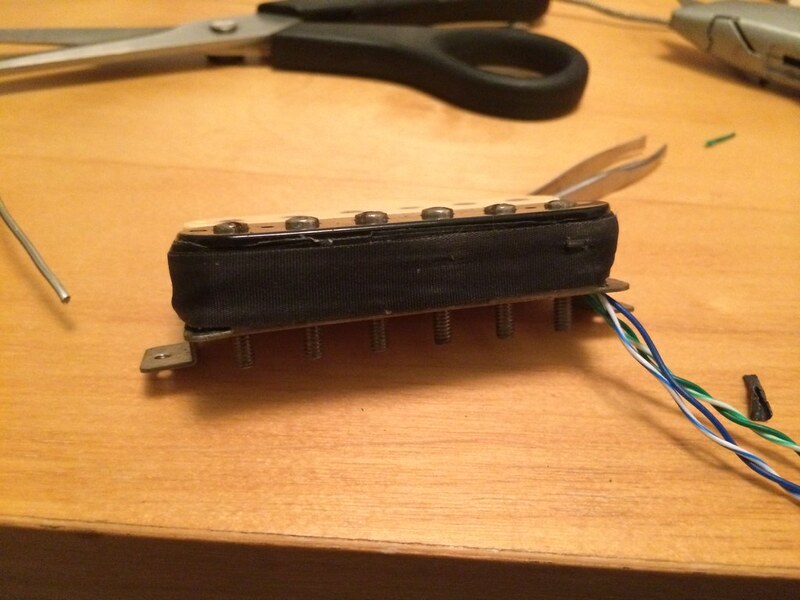 Once you're happy, insulate with electrical tape or heatshrink. 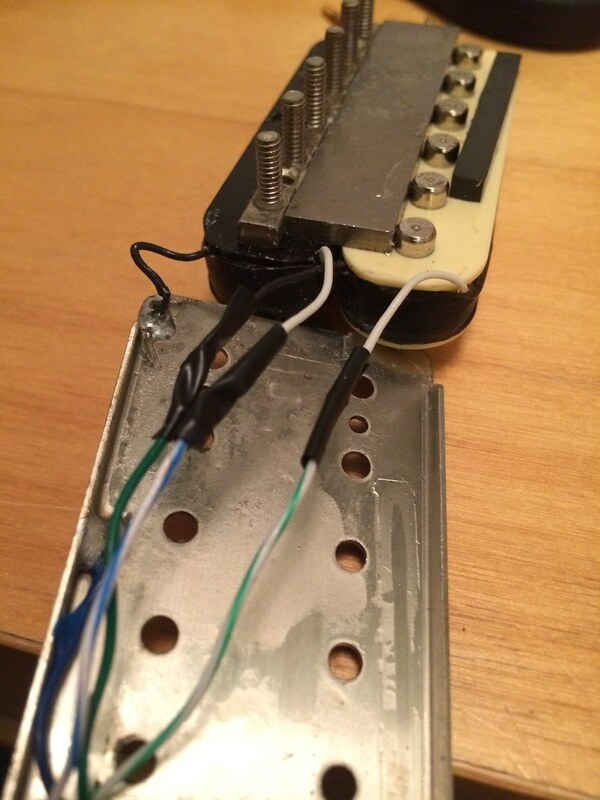 Try to use only as much tape as is needed to insulate, any more and you may run out of room putting the pickup back together. 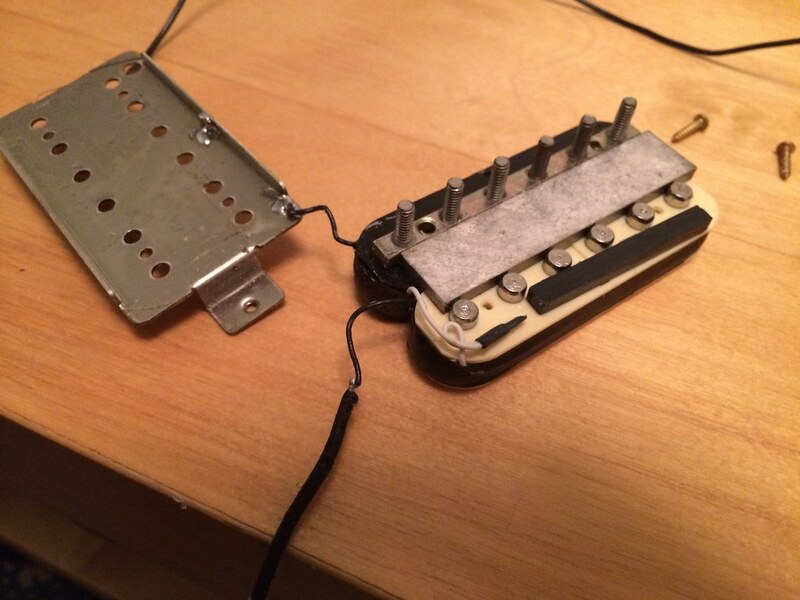 Now, carefully put the pickup back onto the baseplate making sure the wires are placed in the gap between the baseplate and the bobbin - in my pickup the space is at the edge of the screw (black) coil. 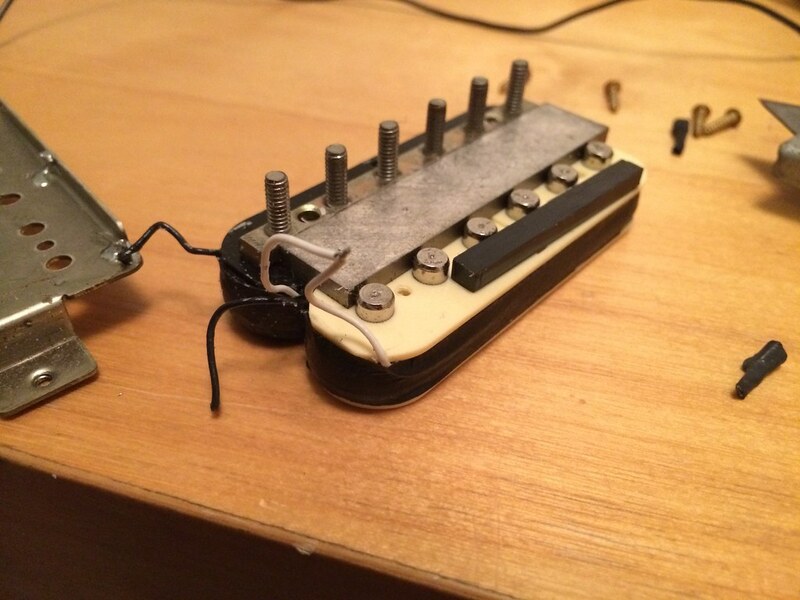 Replace the bobbin screws and then the pickup tape. You should have just asked the person who made this custom to do this when they made it for you, you maniac! Ha ha, well I did actually order and pay for 4 conductor... after the 6 month wait they arrived with 2 conductor. Figured i'd just do this down the line! Thanks for the detailed guide, man. I've been wanting to try this for a long time now. It's simple enough in theory but I needed some visual reference. Nice idea with the ethernet cable as well. I've got loads of extra ones lying around. Might even flip the bar magnet over just for kicks. Yep, that's how it's done. Nice tutorial.